The building of ``Livu`` water park covers 11,500m² (123,775 square feet) and comprises more than 40 different attractions and pools. 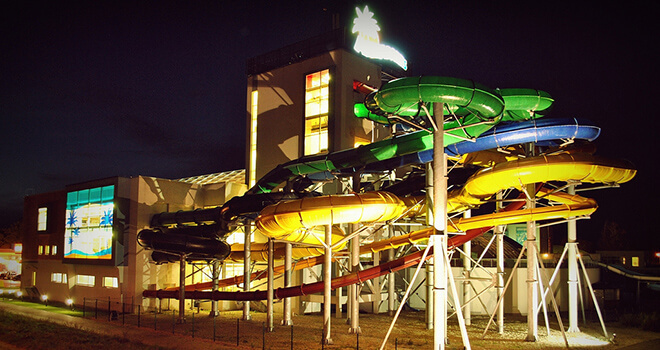 There is a 6,500m² (69,960 square feet) large outdoor zone at the water park that is open during the summer. - Tornado Lāsēns is the only one in Europe and the third largest attraction of this kind in the world! 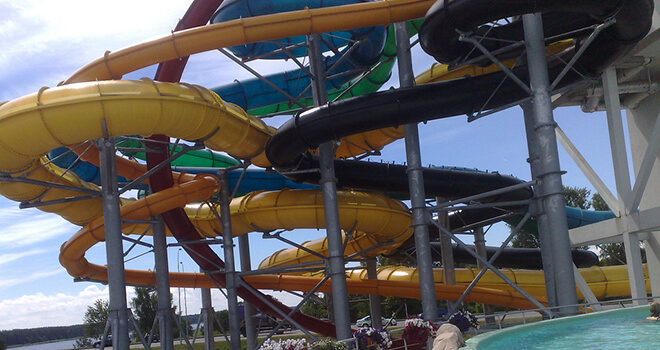 - If you go for the QUELLE wave pool, a calm sea is probably not to your taste. Here, every 25 minutes, you will experience real wind with 1.5 meter-high waves. You will itch to grab a surfboard and catch a wave, but until the next tide you can relax on fine sand at Tortoise beach. - Red pipe Honda. The reckless rule the world! Demonic sprint. Height – 22 metres, braking path – 25 metres, length – only 83 metres, but speed – up to 60 kilometres an hour! - Orange pipe. 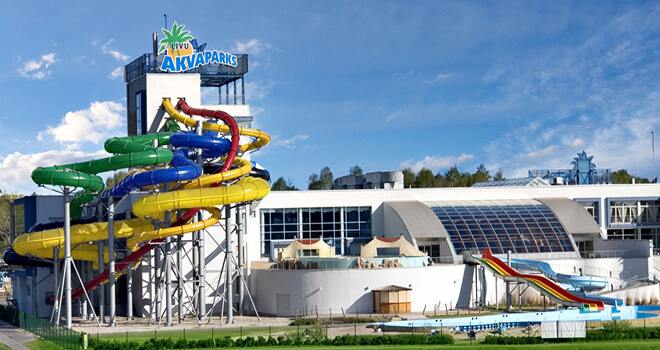 This is one of the longest and fastest pipes in Livu Aquapark. It starts on the 6th floor next to the Honda tube. Before the ride check your time and find out if you are the fastest rider of the day! - Red Bull bar. We definitely recommend you to swim into the “Red Bull” bar! This is a place where you can lazily relax in jolly company. Bartenders will pamper you with either classic or exotic cocktails. We recommend enjoying one in a pool at the specially-designed Red Bull bar or in the warm embrace of a Jacuzzi. You can purchase entry card for either 2 hours or 4 hours. 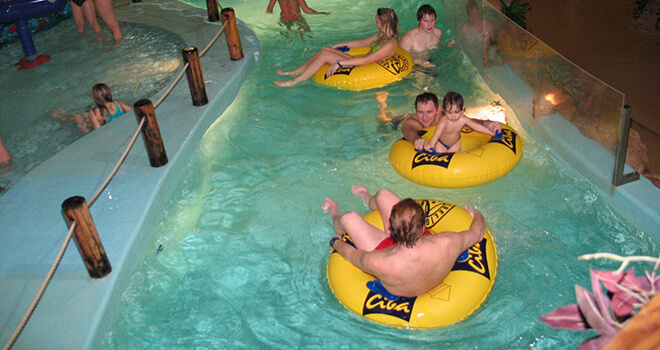 After the water park you will be taken back to Riga or you can explore Jurmala beach resort and take a train to Riga.